I have found a deep love for podcasts. They get me through the mundane, everyday drudgeries such as folding laundry, cooking, and cleaning. I have found that they offer deep insights, support, and inspiration. 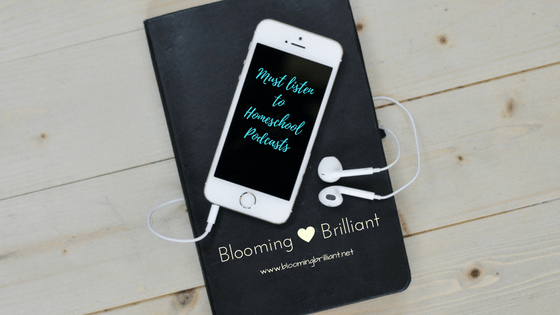 Today I am sharing my Top 10 Favorite Homeschooling Podcasts. These podcasts will not disappoint you, they will give you tips, techniques, support and inspiration that you can use to restore yourself and your homeschool. Brave Writer’s Life in Brief – The Brave Writer podcast is an essential podcast for homeschoolers, educators, and parents who want more from “school” than merely passing tests. The first season is filled with insight when it comes to teaching your children writing. It continues with an amazing season 2 with guests from the homeschool blogosphere and more who implement the Brave Writer Lifestyle in their homeschools. This podcast is what I consider the holy grail, it is inspiring and insightful. I love Julie, who has raised and homeschooled her children successfully. 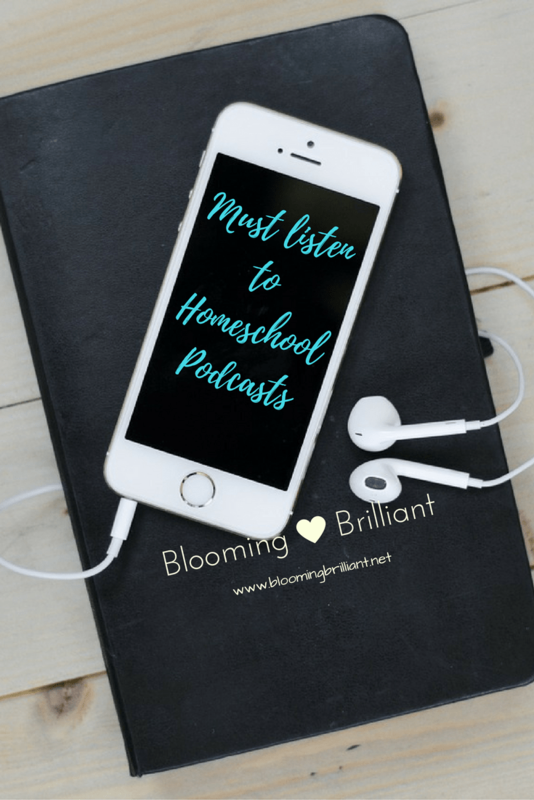 The Homeschool Sisters – The Homeschool Sisters podcast is like sitting down with your best friends (Cait and Kara) and comparing war stories, they are completely relatable, inspiring and helpful beyond belief. The Homeschool Snapshots – The Homeschool Snapshots Podcast gives you a peek into what is going on in other homeschools across the country. The Homeschool Solutions – The Homeschool Solutions Podcast is another great podcast from Pam Barnhill, this podcast provides new homeschool content from top homeschool bloggers. You can’t listen and not be inspired! Read Aloud Revival – The Read-Aloud Revival Podcast is an inspiring podcast filled with resources that will motivate and encourage you to read aloud to your kids. Your Morning Basket – Your Morning Basket Podcast is yet another amazing podcast from Pam Barnhill, I don’t know how she does it all. This podcast will help you create your morning time and give some amazing tips to help you and your kids begin your homeschool day. The Homeschool Sanity Show – The Homeschool Sanity Show Podcast will help you keep your sanity while homeschooling. It is your prescription for happier, healthier homeschooling with Christian psychologist and veteran homeschooling mother of six, Dr. Melanie Wilson, who interviews experts on the issues that drive you crazy. Homeschooling IRL – The Homeschooling IRL Podcast is another highly Christian based homeschooling podcast, I love their variety of conversations. Scholé Sisters Podcast– The Scholé Sisters Podcast is a great resource which provides support and inspiration for the classical homeschooling parent. 101 Practical Homeschool Ideas: 101 Practical Homeschool Ideas Podcast provides great tips and inspiration for activities, curriculum and so much more. Check out my Top 3 Favorite Homeschool Posts and why I love them which are included in this blog post. Do you love any of these podcasts? Which are your ggo-tohomeschool podcasts? Let us know in the comments below.